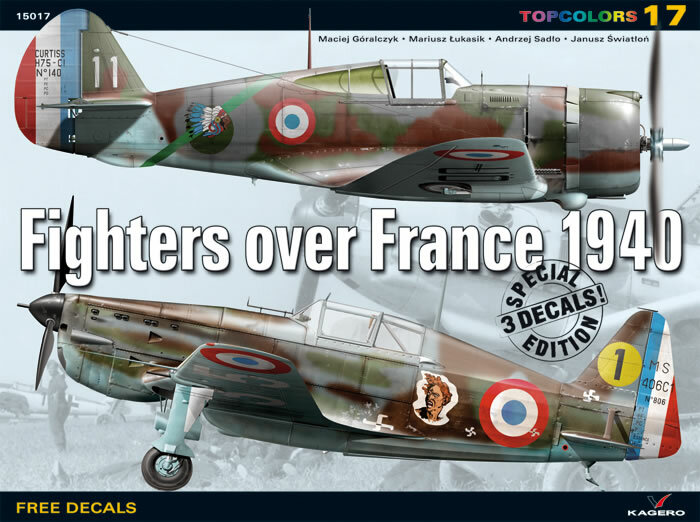 Kagero Topcolours 15017 - Fighters Over France 1940. Excellent production quality and attractive subject material. Great value if you have several Battle of France subjects to build, particularly if they are in larger scales. Kagero is well known for their various series of excellent references on aircraft and military vehicles, campaigns and so on. This is the first of their Top Colors series I have seen in the flesh, and I must say that I’m impressed. It deals with a slightly neglected period of WWII from a modelling standpoint, this being the Battle of France 1940, with a focus on the French and Germans as opposed to the British. In so doing it gives the opportunity to model some colourful French and classic German fighter schemes. 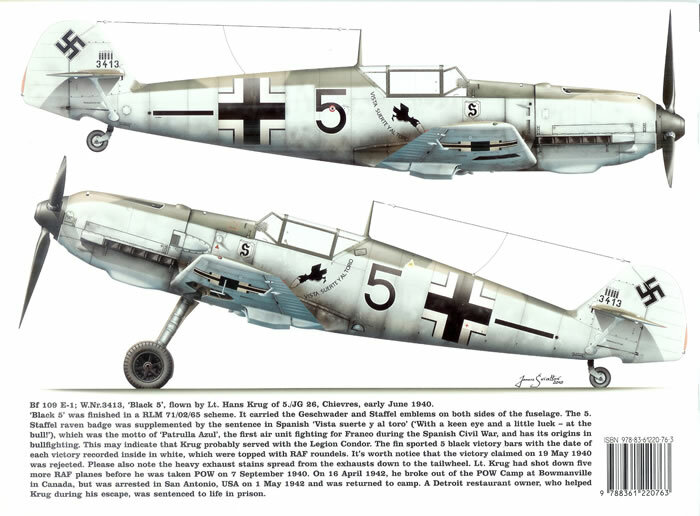 Messerschmitt Bf 109E-1 (x2), E-3 (x2) and E-4 (x2). 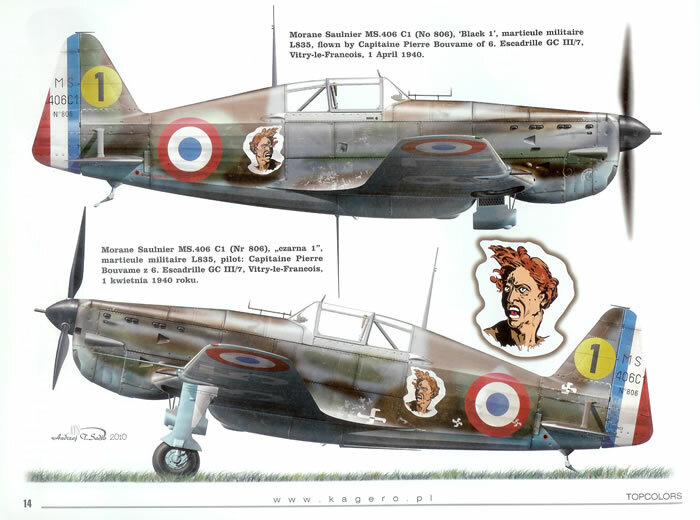 Also included are bonus decals representing selected markings. 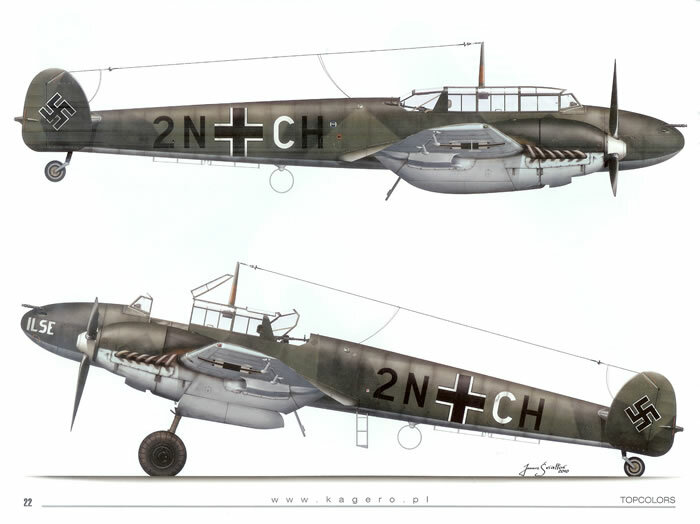 For each subject there are two pages of high quality artwork with four views of the aircraft concerned. Something I like about these is that they provide an indication of staining and other wear and tear, as opposed to being somewhat sterile pure painting and markings guides. 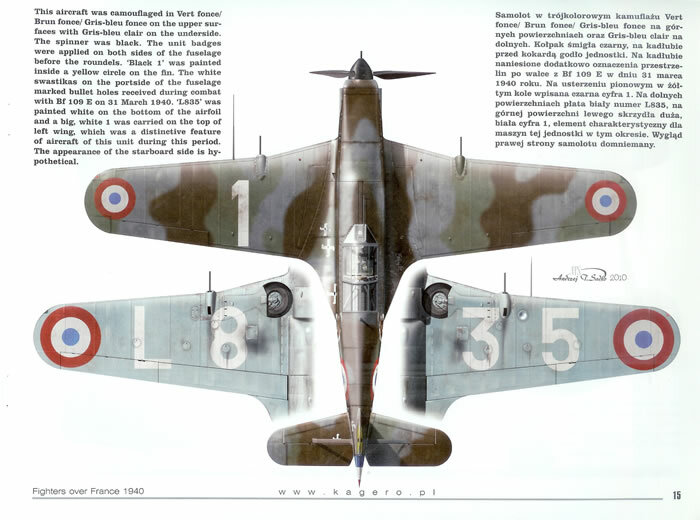 Brief notes on the aircraft and its colour scheme are provided in English and Polish captions. 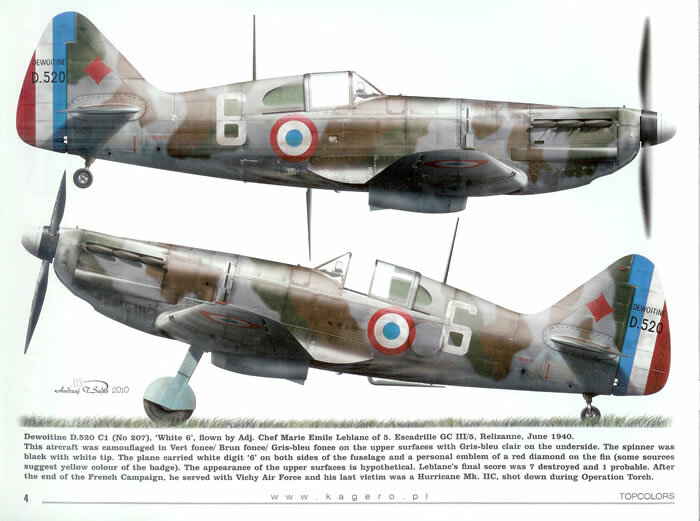 Colours are Armee De l'Air paint names or Luftwaffe RLM codes. Also accompanying the book, and sealed in cellophane bags, are two large (almost A4-sized) and one smaller decal sheet. 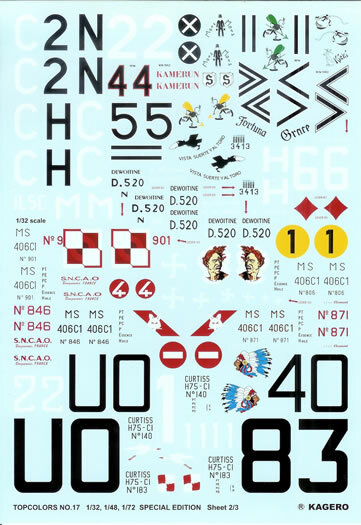 Interestingly these provide decals for the markings covered by the booklet in 1/72, 1/48 and 1/32 scales. Their quality of printing is outstanding, with very fine detail and superb registration. Colour density also appears to be excellent. The attractiveness and quality of production of this Top Colour issue is plain to see. But like most good things it comes at a price. Personally I think you get a great deal for the money, considering that you get a booklet and a huge number of quality decals. 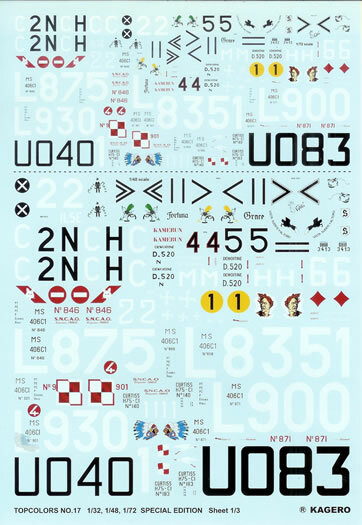 But most modellers would want to be building several of the subjects covered to get the most value out of the package, or have modelling friends to share the decals with. Given the size of the decals for the different scales covered the value proposition is perhaps best for 1/32 scale modellers. Of course there are also decal collectors to whom the attractiveness of the package is bound to appeal. 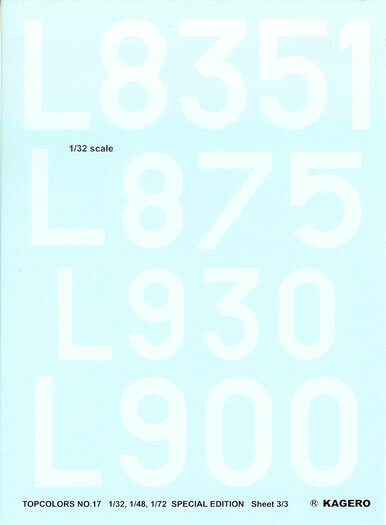 I imagine that the logistical savings of offering three scales in one issue offsets the production cost of providing much larger decal sheets than would be the case with individual sheets for the scales offered. It also presumably removes the risk of surplus inventory from over-estimating the demand for a particular scale. Not surprisingly given the scales covered there are no national insignia provided, as these would account for several more decal sheets. Hopefully the kit being modelled will come with good quality national markings, or the modeller will have something suitable to hand of equal quality to the Kagero decals. This is an excellent quality booklet and decal package covering a number of interesting subjects. You get a lot of decals for your money, but it may be more than some need or have respectively. 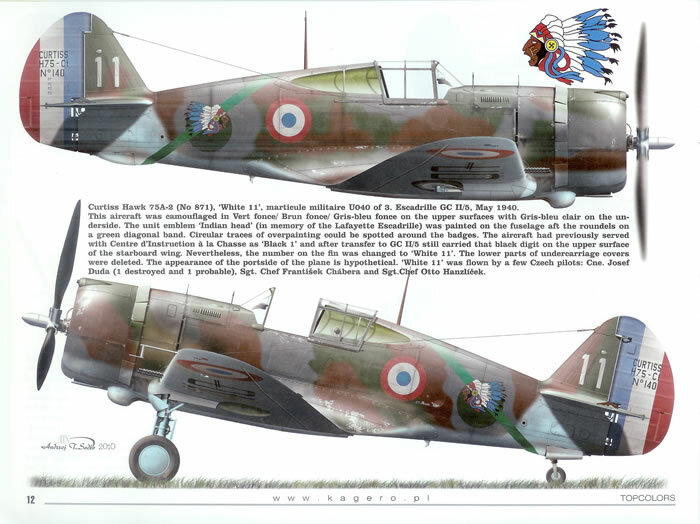 The package makes great sense for those with several Battle of France subjects to build, or a group of modellers with the same interest, and of course the collector who is attracted by great artwork and well-produced decals. Highly recommended to any who fall into these categories.